(CNN) -- California Gov. Jerry Brown is considering whether to grant parole to a convicted murderer who followed notorious killer Charles Manson, a spokeswoman for the governor said. Brown's office received a formal recommendation from the state board parole Friday to release Bruce Davis, 70, who would be the first Manson "family" member to secure freedom solely for good behavior. Brown has 30 days -- or until March 3 -- to either modify, affirm or reverse the parole board's recommendation, a corrections spokeswoman said. In 2010, Davis secured his first formal recommendation for parole by the state board, but then-Gov. Arnold Schwarzenegger reversed the board's decision. Davis was sent to prison on April 21, 1972, for the 1969 first-degree murders of musician Gary Hinman and stuntman Donald "Shorty" Shea. Davis is serving a life sentence. Michael Beckman, Davis' attorney, urged Brown to grant parole. If the case were not connected to Charles Manson, Davis would have already been released by now, Beckman said. He called it "not fair." "He earned it," Beckman said. "I think the governor should respect the work by his parole board. That hearing took five or six hours. They took into account everything about Bruce. And they didn't grant him parole as a favor. They didn't grant him parole on a whim. They considered it very carefully," Beckman said. In 2010, the parole board said that Davis had not been disciplined since 1980 and participated in all available education, vocation and self-help programs. 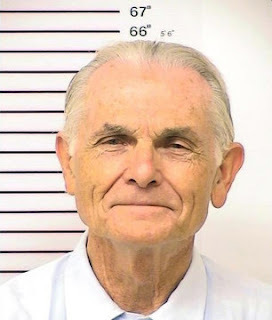 Davis is one of several imprisoned followers of Manson, 78, who is serving a life sentence for nine murders. Manson led his "family" of followers in a deadly spree in 1969, whose victims included eight-months-pregnant actress Sharon Tate. Last year, Manson was denied parole for the 12th time. My money says he's given a release date. How about a pool? Who wants to run it? I think there is a really good chance too. This picture shows Davis to be about 5 feet 6 inches. I thought he was a pretty big tall dude. Maybe he shrunk? goomba could be that bruce looked tall because most of the manson women were short and we do loose a few inches with age.I think Manson was 5 feet 1.Plus Davis liked to walk like he was the man. I say no Suze I say he does not get out. He still has the same exact voice he did as a young man.. Weird in a sense.